While there is a place in the custom machining landscape for job shops, R&H has chosen a different approach. Rather than doing one job at a time based on “what, how many, here’s the price,” we ask “why” the part is needed, “what” it needs to do, and “where” it will be used. 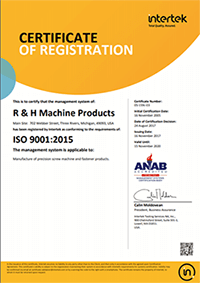 R&H believes that long-term partnerships based on collaboration and mutual trust is simply a better way to go. 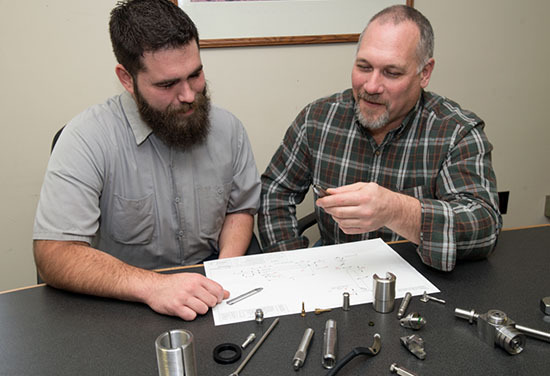 The first step in improving a process usually begins with our customer targeting an end-product and discussing how changes in custom machining could make that end-product simpler to manufacture or assemble. 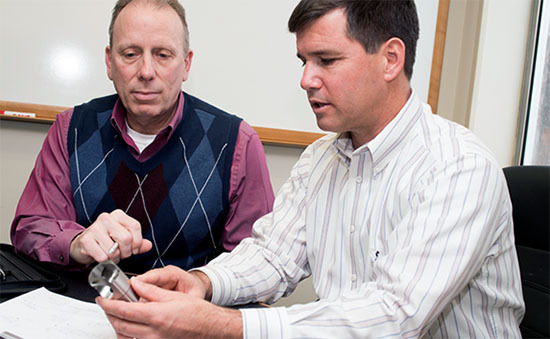 Through collaboration, we determine if we can make the fitting easier to install or manufacture at a lower cost. Sometimes the initial machined part may actually be more expensive because costly assemblies are required. However, in the long run you’ll realize savings because it will be easier and more cost effective to produce. Before any major expenditures are made on your end or ours, we collaborate with you and do any necessary due diligence to make sure the processes are proven out and won’t fail. That holds true whether the process involves new surface finishes, heat-treat, plating, or determining if the new part should be made with a high machining process like ours, or a cold-headed or chucking process. One thing we won’t do is recommend change just for the sake of change. If a new process doesn’t improve the product or result in a meaningful cost saving, we won’t propose doing it.